In a city where everyone loves to eat seafood there aren’t really all that many great seafood spots. Sure there are the fish camps, Safe Harbor, Marker 32 and a couple of others but for 1 million residents that’s not actually all that many. We’ve got one more that MUST go on your rotation of Jax seafood spots. 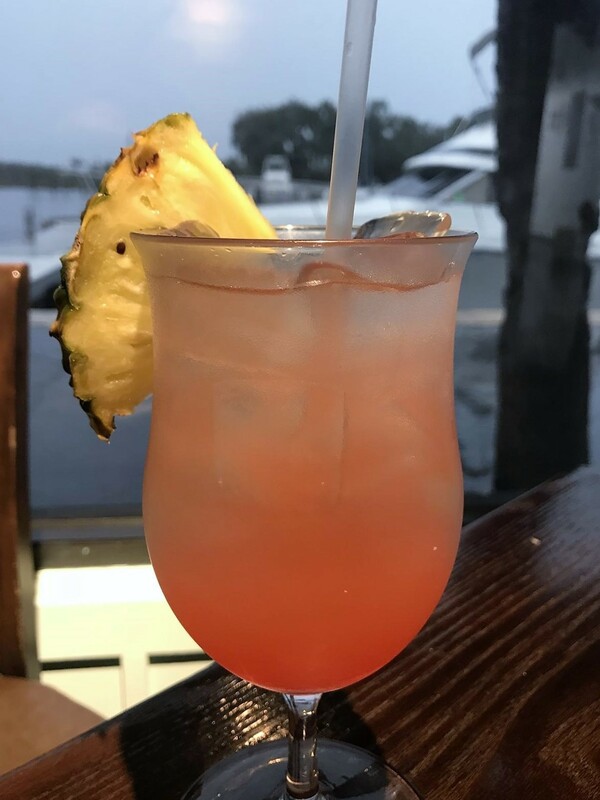 In the previous Nippers space at the marina on the north side of Beach Boulevard at the base of the intracoastal bridge is the newly opened Pierside Tiki Bar and Grill. This has been many things in the relatively few years it has existed. That kind of turnover is difficult for any new restaurant occupying a space but we have high hopes for this new restaurant. Beach Marine owns the restaurant as well as the marina and amenities, and is expanding soon to include condos and townhomes with boat slips right on the water. There are a handful of folks who live in houseboats in the marina now and the neighborhood is expanding with new construction for pierside living. 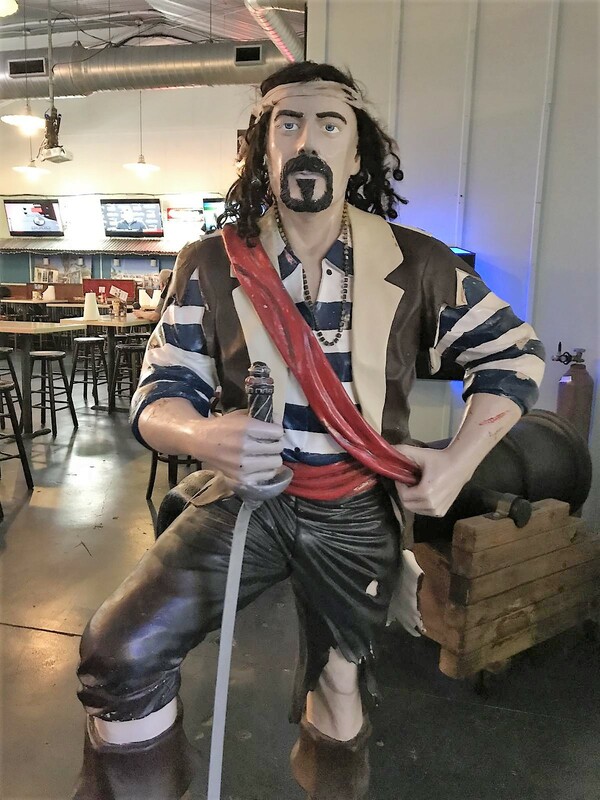 After a revolving door of restaurant leases gone bad, the owners of Beach Marine decided to stop bringing in other restaurateurs to run the restaurant and just build a restaurant that will last themselves. They started by bringing in Executive Chef Darin Ball who has been building and training a team. Ball’s attention has been on creating a fresh, updated menu reflective of the beautiful location and bringing in and training his staff to get a consistent product coming out of the kitchen. Pierside is still featuring live music regularly and a fun bar. The things that have helped it hang on through different concepts are staying; the things that have held it back are going, mainly subpar food and service. Chef Darin is moving methodically from the previous concept. 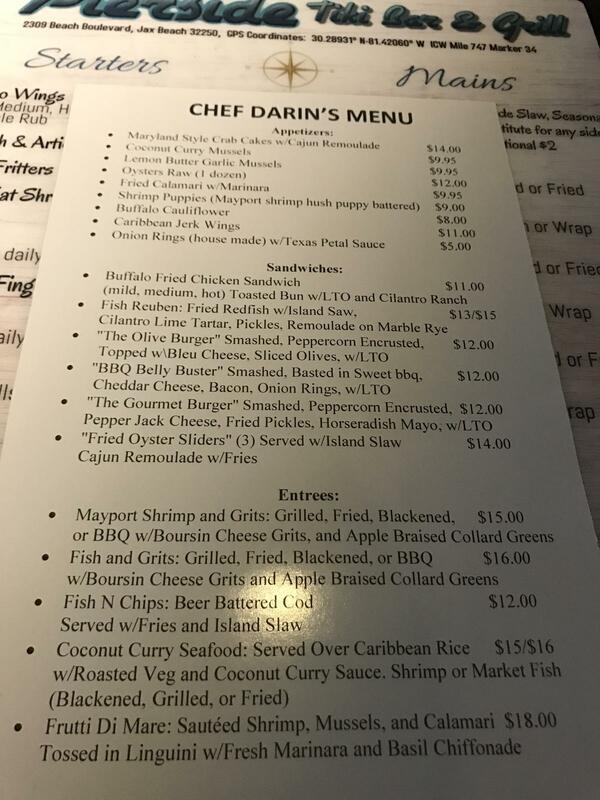 The laminated menus were already printed, so Chef Darin has created his own menu to compliment the primarily bar and grill style menu that already existed. Chef Darin’s menu is on placards on each table, and provided as a paper printed accompanying menu with the regular menu. When we dined at Pierside we focused on Chef Darin’s menu. Much of the other menu will be phased out. We tried Shrimp Puppies ($9), Coconut Curry Mussels ($9.95), the Redfish Reuben ($13), Mayport Shrimp and Grits ($15), and Key Lime Pie. 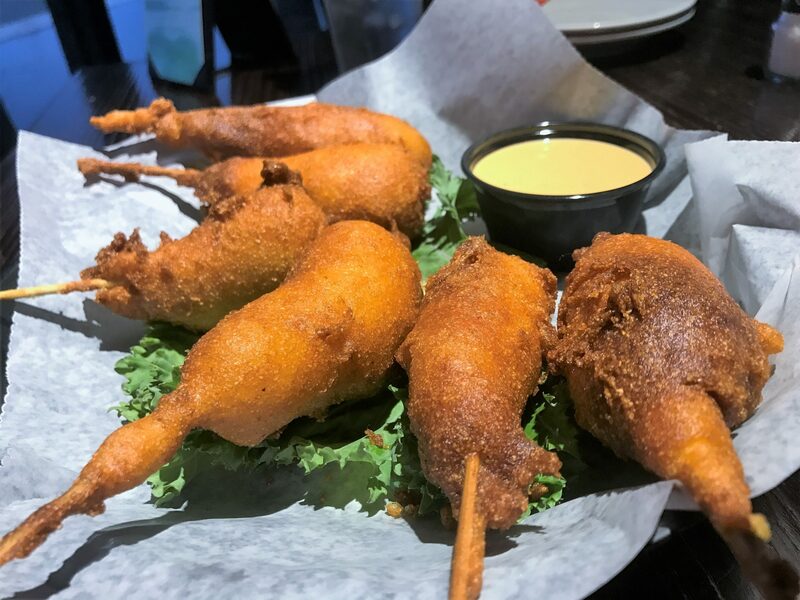 The Shrimp Puppies were a fantastic shareable appetizer with mayport shrimp on a stick, covered with hush puppy batter and fried. This is a fun cousin of the corn dog, only with better ingredients and more delicious. Five generously sized shrimp puppies come per order and honestly more than two might fill you up too much to enjoy an entree. This dish would also be a good choice for a kiddo foodie or a big kid at heart. The Coconut Curry Mussels are another good option for sharing. 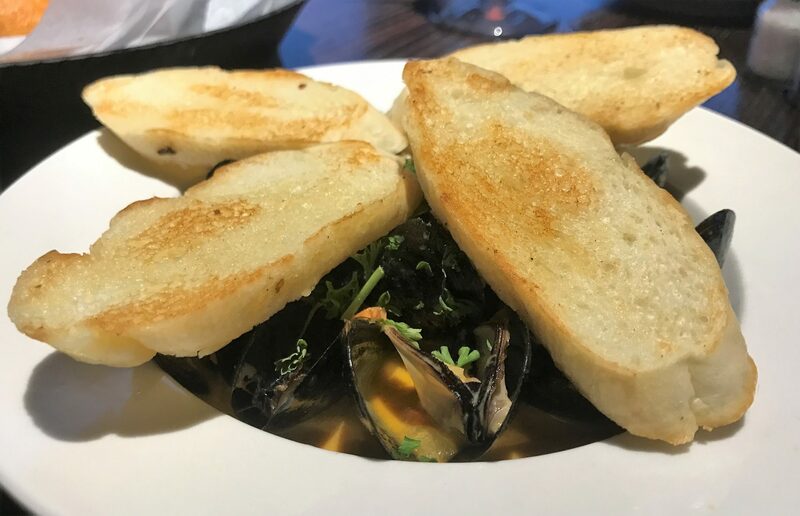 Our mussels were perfectly plump and the thick, slightly sweet coconut curry broth enhanced the experience. The broth is marvelous to soak up with the buttered grilled toast the mussels are served with. There were a number of enticing entrees that called to us, but ultimately we went with the Fish Reuben and the Mayport Shrimp and Grits. 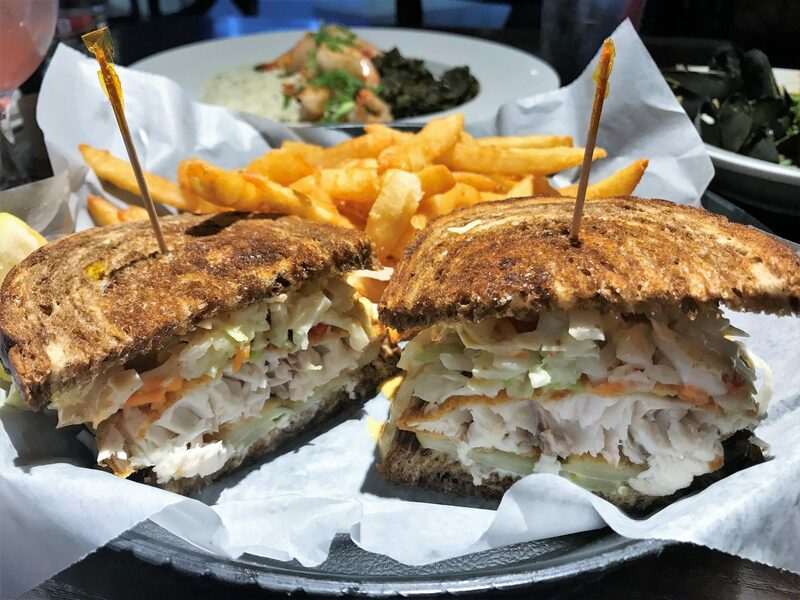 The Fish Reuben can be made with redfish or the fish of the day, prepared fried with island slaw, cilantro lime tartar, pickles, and remoulade on marble rye. This was SO GOOD. There are a number of flavors going on in this sandwich, but none of them are overpowering. You get a little sweet, a little salty, a little crunch from the slaw and crispiness from the fried fish. I have since told several people to go to Pierside and order this sandwich. It’s so good I might stand on the corner with a sign next! We enjoyed the redfish so much I’m not sure I would want to try it with any other fish, though I’m sure it would be as tasty. The Mayport Shrimp and Grits were just as exciting as the Fish Reuben. Grilled shrimp is served over boursin cheese grits, and apple braised collards. It’s easy to get tired of shrimp and grits given that they’re on every menu in town. And sometimes it feels like we’ve eaten all the shrimp and grits in town, but these were a delightful change of pace. The boursin cheese is made in house, making the grits rich and creamy. The collards are sweet with a distinctive pop from the apple cider vinegar, contrasting with the salty, herby grits. The Mayport shrimp are piled up on top, just as divine as God intended. This was a phenomenal dish with a flavor profile hitting a beautiful chord. If you like shrimp and grits (and who doesn’t??) you need to go eat this. 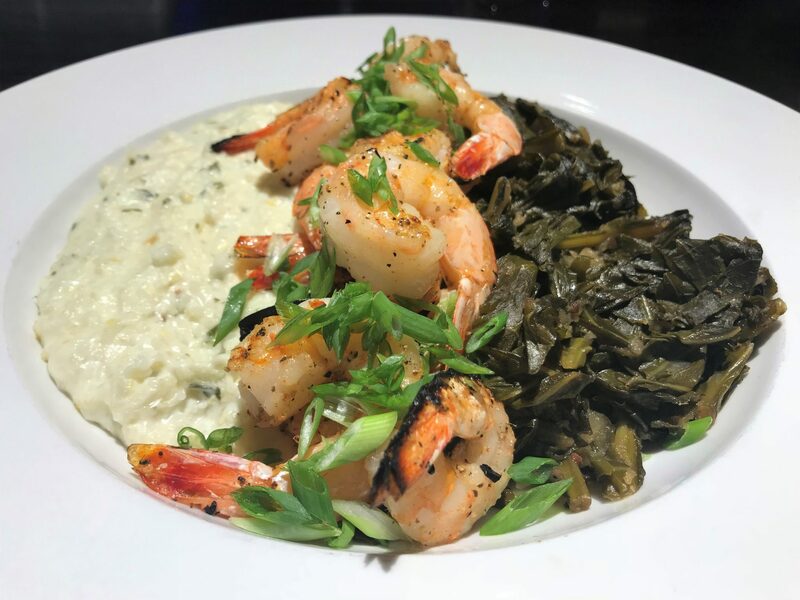 The fish and grits is prepared with the same boursin cheese grits and apple braised collard greens, so if you prefer fish over shrimp that’s an option, too. For dessert we had Key Lime Pie. We were pretty full from all the previous deliciousness, but the Key Lime Pie called to us. 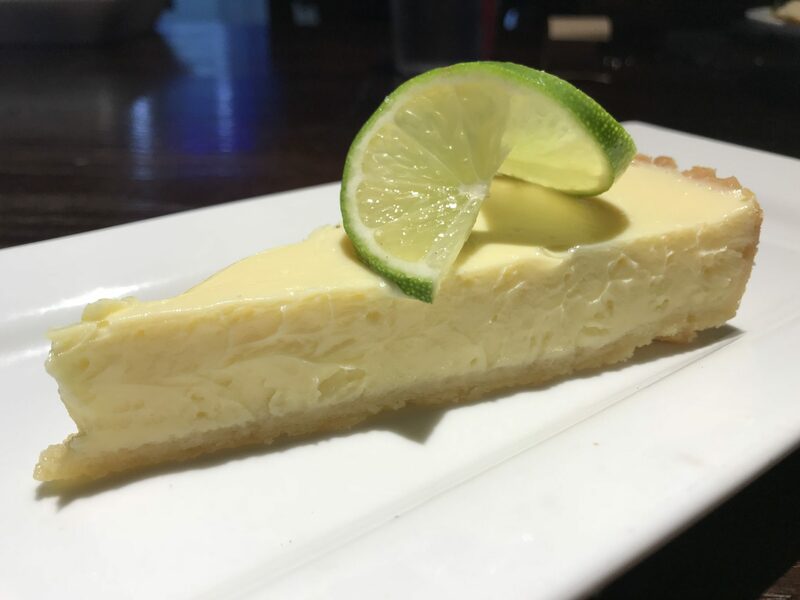 This was a nice and smooth custard pie with more lime on the back end of the bite than the front. A couple bites was the perfect end to this delightful meal. The restaurant definitely has its share of quirks. The old Big Dawgs restaurant sign is still on the building (we’re told it will be coming down soon), the restaurant is so big it will feel a little empty, however the food now reflects the region and has a unique perspective. I’ll tell you what I told my friends after I left Pierside stuffed to the gills: this spot will likely become a hot spot sometime next year. Go now while it’s still flying under the radar and order from Chef Darin’s menu. The seafood truly is stellar. We have high hopes for Pierside Tiki Bar & Grill and for good reason- there is new management with experience and the neighborhood is growing…most importantly the seafood truly is great. Note: From time to time we’re invited out to try a restaurant or to taste new menu items. This meal is usually comped, as this one was. We’re under no obligation to write a positive review or any review at all when we’re invited out to try a place. Every review you see on our site will be an honest review of the place whether or not the restaurant provided us with the meal at their cost. Tagged american, beaches, Beer and Wine, burgers, Casual, cocktails, Dinner, Full Bar, good for families, Good for Groups, Live Music, lunch, seafood, Waterfront. Bookmark the permalink.